FingrSnap makes you get any service at home as easy as snap of a finger. We have listed more than 60 most common services on our website that will make your life easy.Our service list includes Handyman, Health & Fitness, Salon Services, Yoga Instructor, Tutor, Event Planner, Wedding Planner, Vaastu Expert, Astrologers and much more. Learning the guitar is a goal for many people, but far too few ever turn the dream into a reality. It’s true that learning to play the guitar takes some time and effort, the learning process can be a lot of fun and very rewarding. The first thing you need to do is to get a hold of an acoustic or electric guitar. Before investing in an instrument of your own, see if a family member or friend has a guitar that they would be willing to lend you until you are ready for a guitar of your own. You should also decide whether you want to begin learning and playing with an acoustic or an electric guitar. Choosing the right guitar, there are many types of equipment that a guitar player uses every day. The type of strings you use, the thickness of the guitar picks you play with, the length of your guitar strap—all will contribute to your sound and influence your playing style. Now that you are comfortably handling the guitar, it is time to get familiar with the range of sounds that you can produce. Most importantly, you need to get an idea of which notes sound good when played together or in quick succession. The guitar is a fabulously versatile instrument. The basic strumming and picking techniques that are taught in beginner courses will allow you to become a competent guitarist, but to be truly great, you need to break out from repeating the same songs and progressions and begin to experiment with improvisation. Improving your dexterity is essential to becoming a great soloist, while all electric guitarists need to know their instrument’s pickup controls and work out how they can emulate the over-driven, grungy, clean, or smooth sounds that appear on their favorite records. 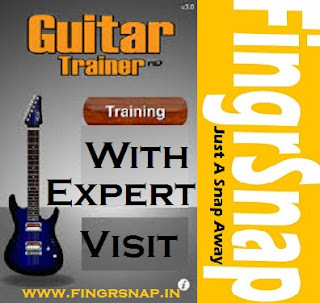 Once you have become an accomplished guitarist, it is time to develop your own style. What kinds of music do you want to play? What kinds of music do you enjoy listening to? Whether you are a lover of blues, jazz, hard rock or classical music, you can use your guitar to create the kind of music you enjoy playing and the music your audience will enjoy hearing. The most important thing you can do is PLAY! Pick up your guitar and start playing notes and chords together without thinking about what you are doing or stopping for mistakes. Try to recreate a melody you heard earlier in the day or find the notes and chords that express your current mood. Play along with and learn songs that you normally wouldn’t listen to.